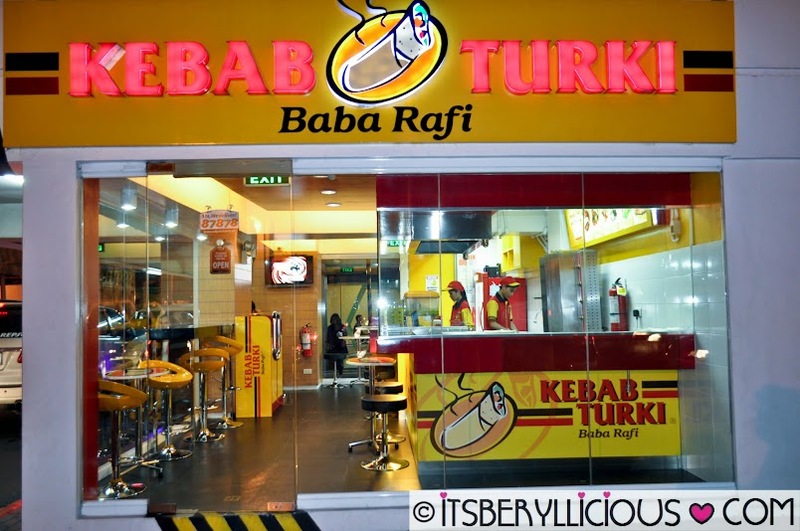 Kebab Turki Baba Rafi- The world's biggest kebab chain is now here in the Philippines! Honestly, I didn't know about it until early this year. D and I decided to visit their Makati branch in Dela Rosa Carpark 1 before having our weekly meetup with friends in Palanca. 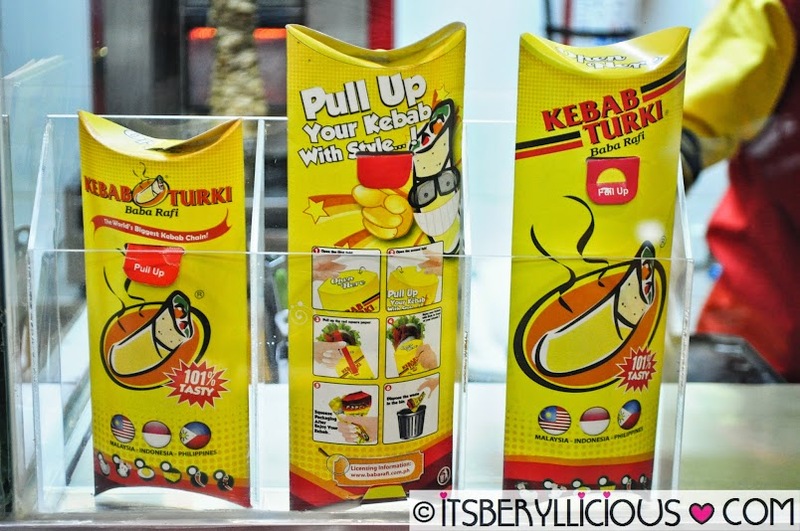 Kebab Turki Baba Rafi has over 1000 outlets in Indonesia, India, Malaysia and the Philippines, and has received a lot of awards and recognition since it started back in 2003. D was so eager to try it out since he's into shawarmas, gyros, burritos and the like. Their kebabs are served in a neat carton packaging with a unique pull-up design. You may choose between a regular of junior size. 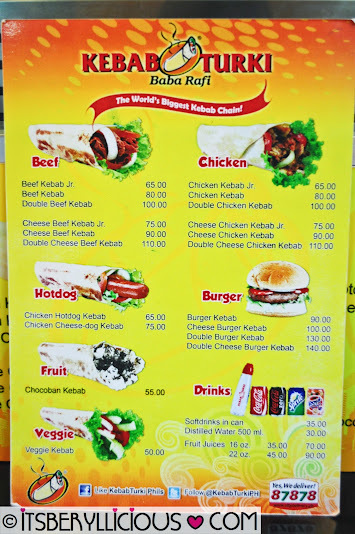 Since we will be having dinner afterwards, we decided to go for their Cheese Beef Kebab Jr. (P75) and Cheese Chicken Kebab Jr. (P75). I love that their pita wrap was not too thick and doughy. It was so tasty that I could eat it as it is or even with just a dip. We both enjoyed our kebabs but felt that the serving of meat was not generous enough to fill our appetite. Maybe we should have ordered the regular size instead. 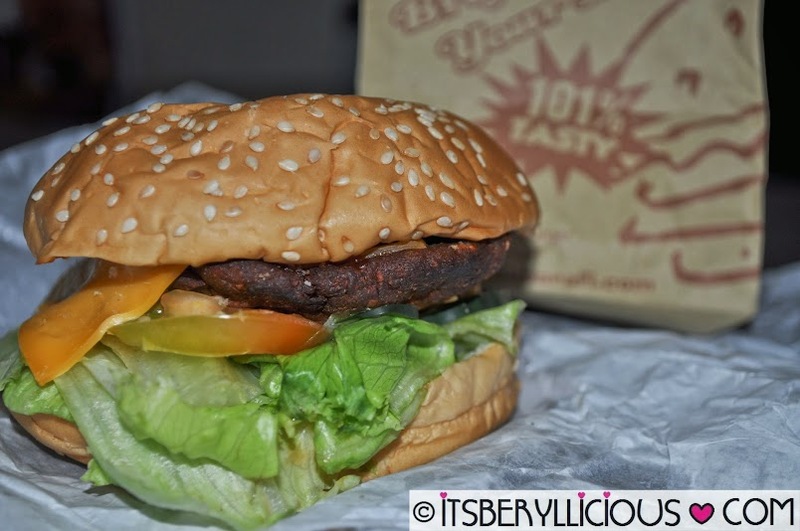 Their Beef Kebab was in sliced patty form that's perfectly seasoned with distinct spices that D loved. 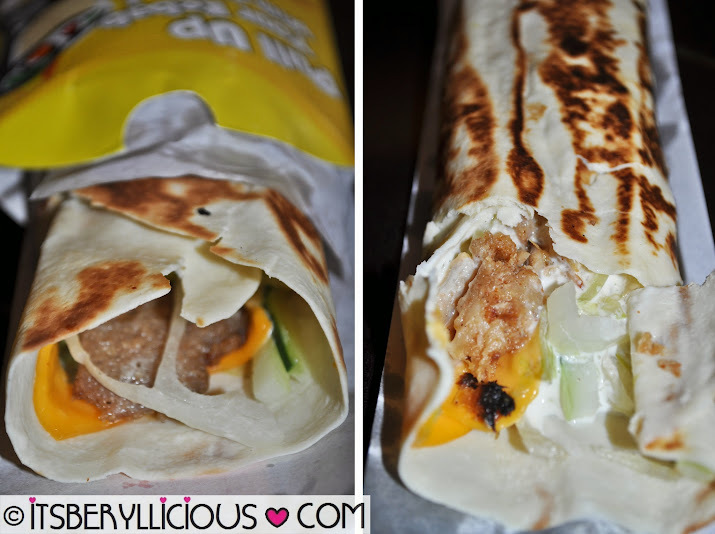 As or me I enjoyed my Cheese Chicken Kebab mainly because of the cheese and special sauce that blended well together making it extra flavorful and tasty. We also ordered their Burger Kebab (P90) which basically has the same beef patty as their beef kebabs. It wasn't too thick yet it was truly 101% tasty. It was not too meaty and juicy, but surprisingly, the flavors were there in every bite. 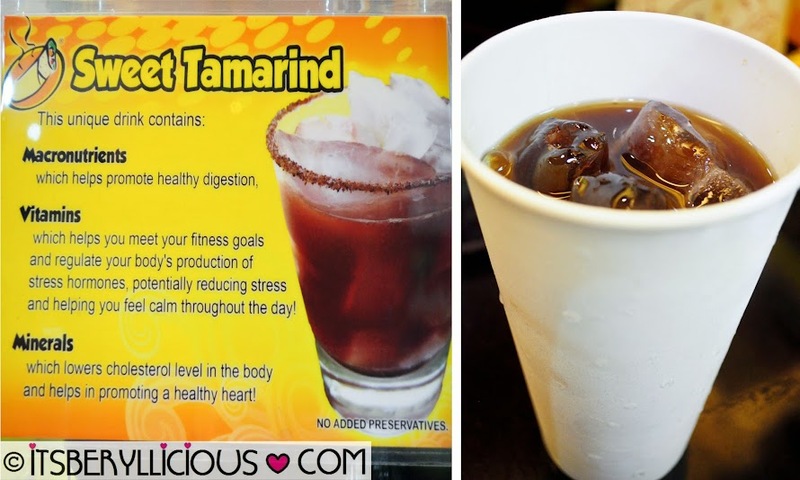 As for drinks, we tried the Sweet Tamarind Juice (P35-16oz, P45-22oz) which was refreshing but overly sweet. It tasted like iced tea with a tangy tamarind flavor. It was pretty good but I think it would be better when watered down a bit. 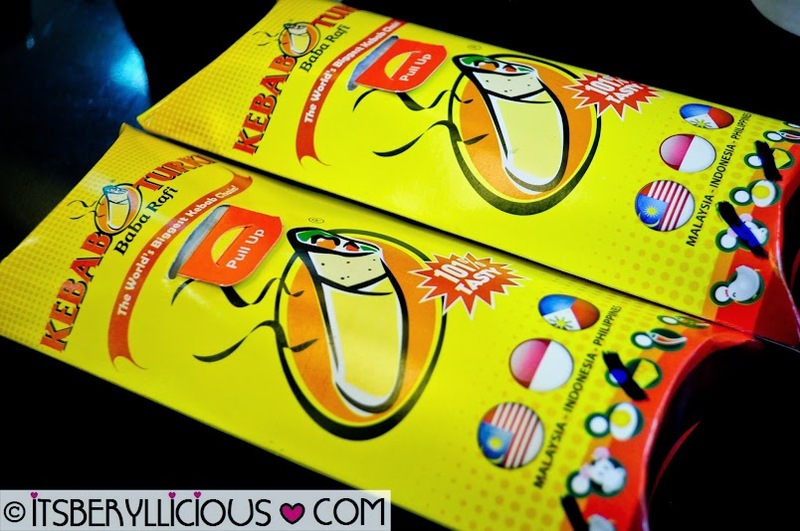 Kebab Turki is something great to have especially when you're on the go. It's very convenient to bring, plus it's not messy to eat at all. Each kebab wrap is packed with tasty flavors from the meat, cheese and special sauce that will leave you wanting for more. Niiiiiiiiice! It's just near our office. I love all things kebab (and shawarma, papadum, biryani, you get the picture). I'll definitely, definitely try this one out! The kicker's that this is just near our office and my apartment. I guess I'll try it out tonight or tomorrow night! These kebabs look delicious but I wonder why there's nothing for vegetarians. :-? the kebab looks yummy and i want to try it!